Reiki came into my world during the first year of my Psychology degree, when I unexpectedly became ill. It was in the local library that I was drawn to a purple book about Reiki with beautiful illustrations. As I flicked through its pages, I knew that I wanted to find out more and train in the healing art. Looking for the right teacher, I synchronistically came across a website that resonated with me. This teacher happened to be coming from abroad to my town in a few weeks to give attunements. On the morning of the class, I felt a bit tired, in pain, and shy about what to expect. Throughout the day, however, I felt as if I transformed beyond what I had expected. For the next 21 days, I practiced on myself daily. Slowly, I healed from being nearly disabled, unable to walk and in chronic pain, to eventually starting the second year of my degree and regaining my vitality and hope. Two years later I completed the second degree of Reiki, which focuses on learning sacred symbols. I loved how the symbols added a new dimension to my practice and experience. It gave me comfort and vitality in my own body as well as connection with others in attending Reiki Shares and feeling the different styles and energy signatures of friends. It felt very intuitive and flowing that I was led to the attunements at the right time and place for my soul’s growth and learning. A number of years later, during 2012, I was brought to a new method called Angelic Reiki that I felt guided to train in. I had some reservations about Angelic Reiki—that maybe it sounded a little too “fluffy”—but I knew by this point to trust the pull of my intuition. The Angelic Reiki attunements and the healing energy felt very different from Usui Reiki. Angelic Reiki felt very pure and subtle to me, very comforting, while Usui Reiki is more of a warm masculine energy. As I opened myself to the meditation and healing sessions, I had new experiences. We worked with the Angels as well as the ascended masters, and during sessions we psychically opened up and gave each other messages from ascended masters whom we knew little about, as well as felt numerous beings around us healing us beyond just the hands of the participants. I remember during the meditation attunement we received a gift from each archangel. When it was time for Archangel Raphael, he looked deeply into me. I was overcome with such pure joy that he held me and flew me up to a crystal temple. I was intrigued by this spontaneous vision and how incredibly loving the exchange was between us. I began to understand that my mission on Earth was to bring healing and ground it into new methods and modalities, new ways of honouring our vitality and supporting ourselves back to perfect health. I started feeling huge waves of energy, as well as having visions of ascended masters and angels. I laugh at this memory now. At that stage of my life, I simply didn’t feel ready. I still held a lot of fear and was scared of what I would find within myself. However, in the summer of 2015, the vision from Isis finally caught up with me, as I spontaneously started seeing past life visions. On the 1st of 2016 I woke up and felt different: I knew something had changed and that big shifts were happening. From this day onwards, I started to open up my psychic awareness to receiving beautiful messages from my soul and ascended masters, angels, and guides. I saw different visions, potential futures, past lives, different energies in my mind, sacred geometry, and channelling languages like Hebrew (that I have never encountered before). It was exciting, beautiful and mysterious. It was, also, however, incredibly painful. I was awakening to find that the little human “me” life I had been living (relationships, friendships and work) was no longer resonating with me. I was changing whether I liked it or not, and all that was not in alignment was being pushed out no matter how much I tried to stubbornly hold on. I was then right back to feeling afraid, as I had during the Isis vision. But from the stillness of this now moment, as I contemplate all I journeyed through to create a new beautiful life for myself in alignment with my soul’s truth, I can tell you that for all the tears, the screaming, the breaking down, it was all worth it. I have been given a gift and connection to the higher realms that is so beautiful; it is a state of being to be cherished. What I feel guided to share with you at this time is this: these healing modalities are just the initiation, the focus for channelling energy, for reconnecting with your soul. The created and established methods serve us beautifully through the different transitions of life, but what I feel strongly now is that as awakening is progressing on the planet and the veils are thinning to the higher realms, we are being gifted new modalities and energy healing methods. It is a very exciting time for creative exploration. Like many other healers, I have evolved my own practice, integrating the traditional practices with the new energy signatures. The violet flame, star seed energies and methods such as speaking and singing in light language. As we evolve into the multidimensional beings that we are, we are gaining many abilities from our souls’ Akashic Records that allow us to introduce new ways of healing to the world and to ourselves. And so as I continue my journey, I am eternally grateful for the established methods that formed the foundation for my energy healing practice, as well as now learning, from my own higher self, methods that are not yet in manifestation. We are on the front lines of creation, introducing new energies and experiences to bring us to the next phase of our journey. By training in another’s method we are coming back into ourselves. With accepting and owning our sovereignty, we learn from our own higher selves’ abilities. The sky is the limit, and I look forward to seeing how energy healing evolves as we do in the future. 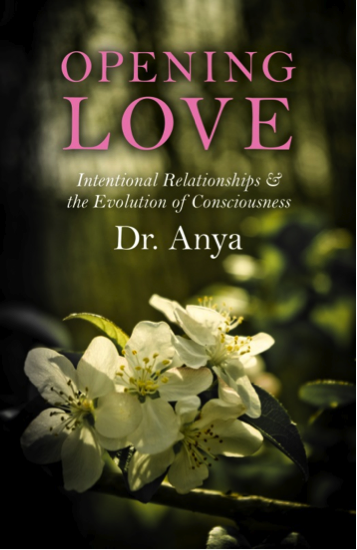 Aiyana is a healthcare professional with a degree in Psychology, based in the UK near Glastonbury. After an awakening, she quickly transitioned into channelling, writing poetry from the soul, and having visions and extrasensory experiences. She has a passion for blogging, adventuring this beautiful world, being of service, promoting peace, dance, and music. Please visit her on Youtube.